Cologne or Bonn Airport is a German international airport that is located in the city of Cologne, in a district known as Porz. It neighbors a nature reserve known as Wahnerheide, and it is centrally located in the region of Cologne/Bonn. It lies 14.8km from the city center of Cologne and sixteen kilometers northeast of Bonn. It is among Germany’s largest airports, and among the few that operate twenty four hours a day. How is ground transport like from the Airport? 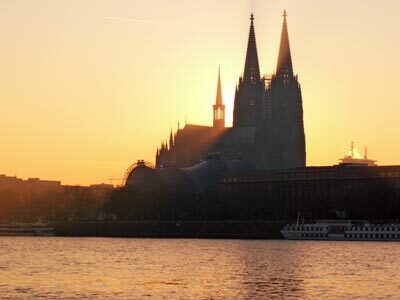 There are several options for getting to either Cologne or Bonn from the Cologne/Bonn Airport. According to your tastes, you can either choose shuttle buses, taxis, limousines, trains or rent a car. There is a public bus 161 that runs from the airport to Cologne, with another one, 640 running to Bonn at intervals of 30 minutes. Airport shuttle services are available in plenty, and they take 20 to 35 minutes to their destinations. Most of the major hotels in the two towns have courtesy shuttles for all of their guests. It is advisable that you make arrangements with your hotel to facilitate transport services from the airport. They offer the fastest travel means and are usually found outside the airport’s terminals 1 and 2. They take duration of 15 minutes to reach Cologne. Services to the city of Bonn might take longer. There is a railway station located between the airport’s two terminals, and trains run regularly to Cologne and other cities. You need to know that trains have to pass via Cologne to Bonn. The availability of a wide array of car rental companies providing cheap car hire services makes it easy to rent the car of your choice. Car rental is a viable travel option because you are not going to waste time waiting, like it is the case with trains and buses. Taxis might be expensive for a tourist wishing to travel to multiple destinations. There are limousines with drivers, to offer you a stylish transport means as well. These are expensive and are mostly used by business people. Are there any hotels within the airport? What can a tourist explore in Cologne/Bonn? Cologne is a spectacular city that boasts of picturesque ancient building like the Gothic cathedral as well as plenty of museums. Another thing worth visiting is the Botanical Gardens and not forgetting the zoo. You can rent a car and visit them at your convenience. Bonn was West Germany’s capital city. It was destroyed a great deal during the war, but there are still plenty of medieval buildings. Marktplatz and Münsterplatz are some of the destinations that you must also visit as well. Most major car rental agents in Cologne Airport offer one way rentals. One-way rental is when you collect the car in one place and return the car in another location. In most cases the car rental agent will charge an extra fee if you wish to return the vehicle at a different location. In the terms and conditions will state if the one-way fee is included in the rental price. If the one-way charge is not included in the rental price, the one way charge needs to be paid on arrival directly to the car rental agent. When traveling with family and children, we recommend you select a car with enough space for luggage and enough space to fit child seats. Children must travel save in a child seat/booster depending on their weight or how tall they are. Rentalcargroup.com offers a wide range of variety of station wagons, mini vans in Cologne Airport. Last month, the average car rental length at Cologne Airport was 4 days. The average rental car length at Cologne Airport is 4 days. The most booked rental car type currently at Cologne Airport is ECONOMY cars. Last year, the most booked rental car type at Cologne Airport were ECONOMY cars. How much does it cost to rent a car at Cologne Airport? Last month, the average car rental price was 147 USD. Last year, how much did it cost to rent a car at Cologne Airport? Last year, the average car rental price was 121 USD. What is the current average daily price to rent a at Cologne Airport? Last month, the average rental price was 40 USD per day. How much did it cost to rent a car at Cologne Airport over the past 12 months? Last Year, the average rental price was 32 USD per day. The car rental companies available at Cologne Airport are: Alamo, National, Enterprise, Interrent. See below last 5 customer reviews. Our customers rated Cologne Car Rental with an average of 0.00 based on 0 ratings.